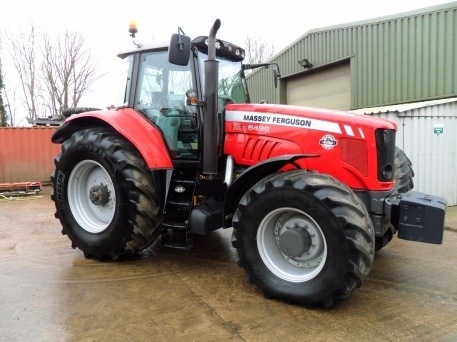 Used Massey Ferguson Tractors for sale in the UK, for retail, trade or export. 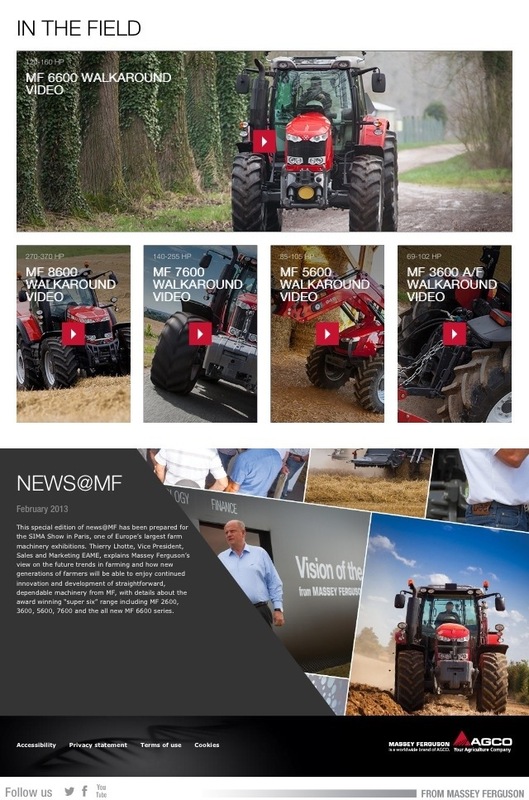 Chandlers Used Massey Tractors blog is free for anyone with an interest in Massey Ferguson tractors to comment and add their views. 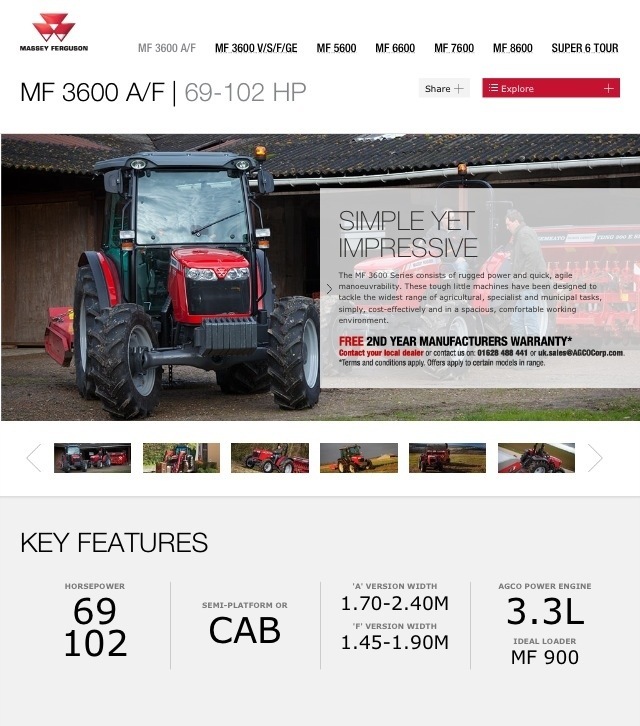 Sales at Used MF tractors aim to provide a dealer inside view blog on all topics relating to buying, selling and using Massey Ferguson tractors, and we hope that the information in our articles are of interest. Please add your questions and comments. 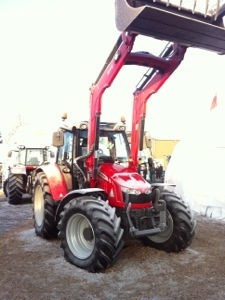 The brand new and uprated range of Massey Ferguson loaders were launched at the SIMA Show in Paris. With uprated lift capacity, new modern sleek design for further improved visibility and the brand new FL Companion – providing factory fitted load weighing capability – the FL Range of MF loaders are the new industry bench mark in terms of front loader performance. 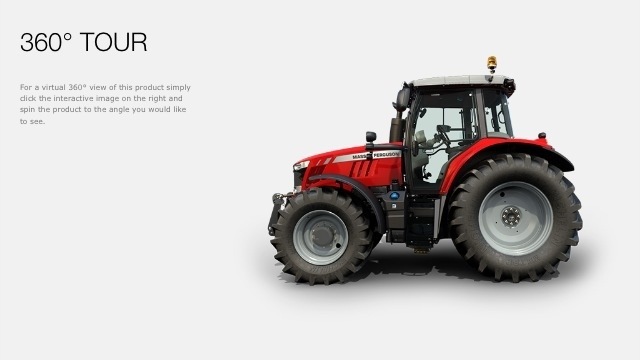 Ideally suited to the Massey Ferguson range of tractors, with factory options of Visio-Roof, and integrated multifunction loader joystick (where gear shifting, change of direction as well as loader operation can all be controlled). 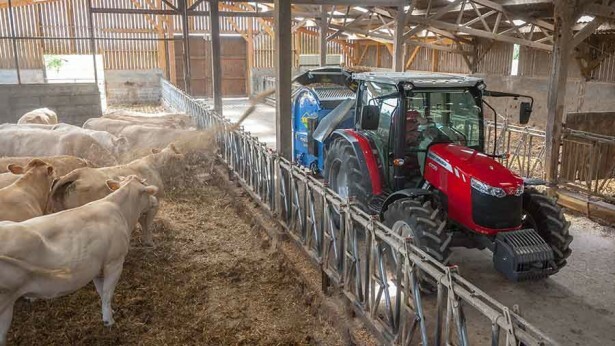 The FL range of MF loaders further enhances the performance of the tractor, reducing loading times, and improving safety with better all round visibility. With a logical numbering system the range of FL front loaders can easily be selected to suit the tractor and application, for example the FL.4621 has a maximum lift height of 4.6m and a lift capacity at 1.5m off the ground (a typical working height) of 2.1 tonnes. As well as providing load weight information the cost effective FL companion also shows current implement position and angle, ideal for working in low light levels inside buildings for example. The data recorded on the FL companion can be stored and downloaded via USB to the farm office. 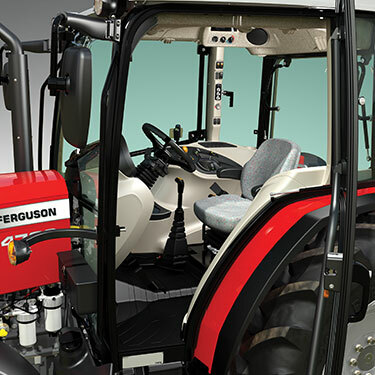 Maximise your loader tractor efficiency with the brand new FL range of front end loaders from Massey Ferguson. 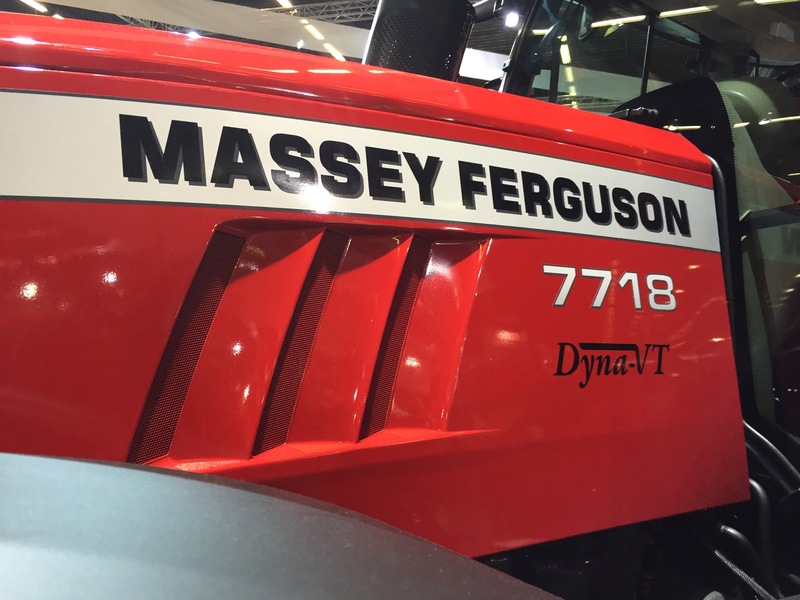 The brand new range of Massey Ferguson 8700 series has been launched at the SIMA Show in Paris on the 27th Feb 2017. 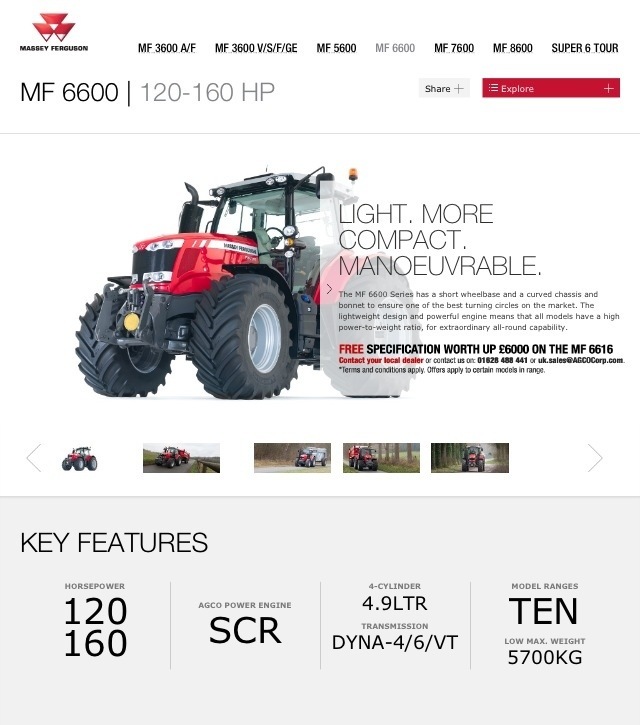 The new range topping MF8740 now has up to 405hp with E.P.M. (Engine Power Management), power boost and up to 1600 Nm of torque. 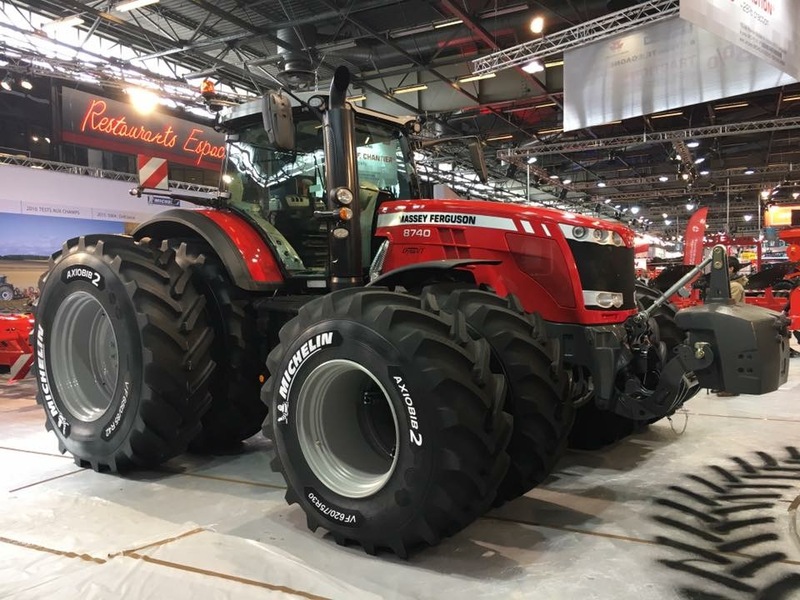 Taking Massey Ferguson wheeled tractors to a new level of output. 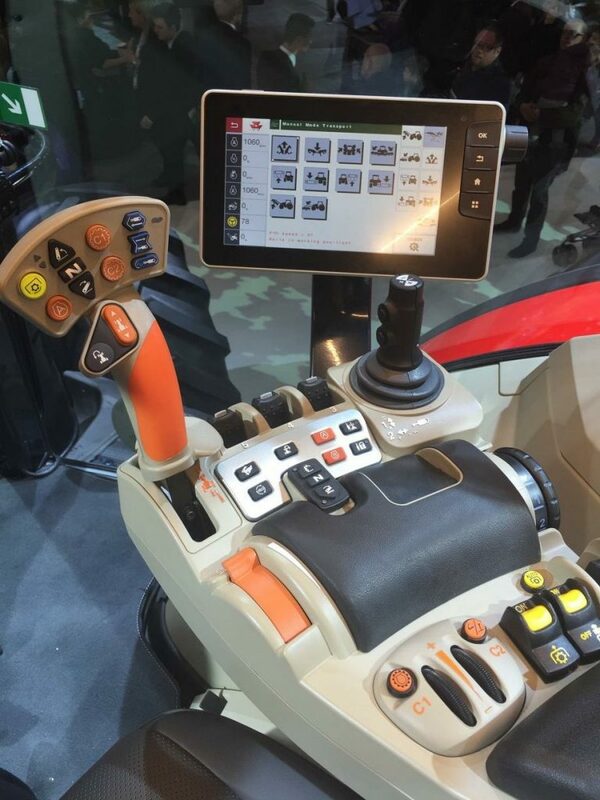 With the introduction of the brand new DATA 5 system of tractor terminal and controls, featuring a 9 inch full colour high resolution touch screen terminal – similar to those found on modern tablets – the operator has at their fingertips every control they could require for a fully integrated precision farming set up. 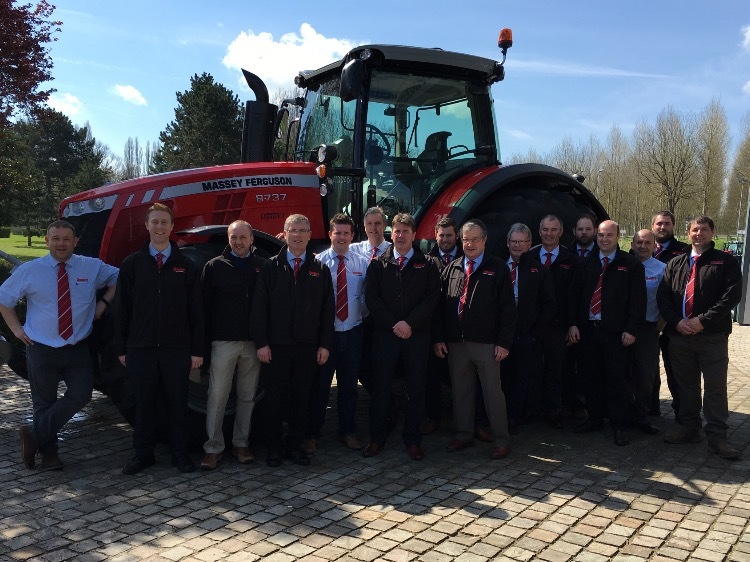 The Chandlers sales team recently visited the Massey Ferguson tractor factory in Beauvais, France. With the brand new Beauvais 2 production facility for cab assembly, and major investment in the tractor manufacturing plant at Beauvais 1 in both the assembly area and GIMA transmission factory there was plenty to look at. Employing more than 2,100 people at Beauvais 1, and a further 220 people at Beauvis 2. 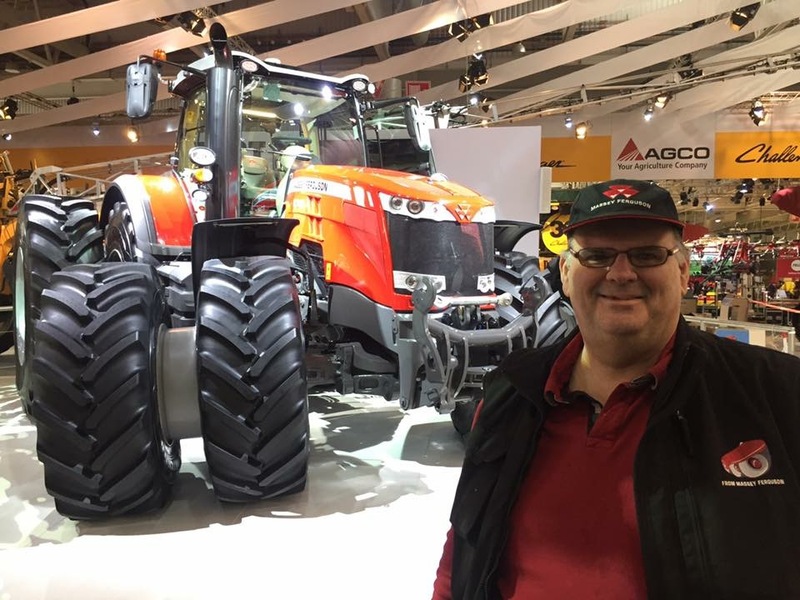 The combined output could now reach 150 tractors per day if demand required it. 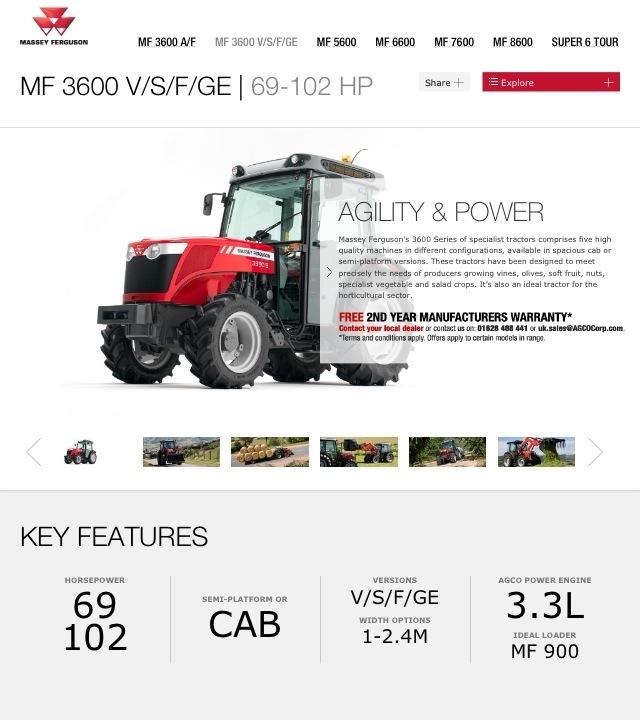 The global range of Massey Ferguson tractors are now complete with the launch of the MF4700, MF5700 and MF6700 series tractors. 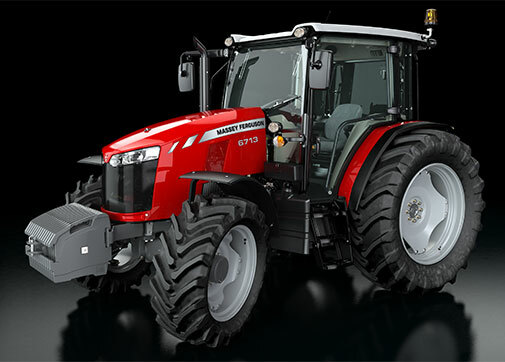 The MF4700 series comprises 3 models MF4707 – 75hp, MF4708 – 85hp and MF4709 – 95hp. 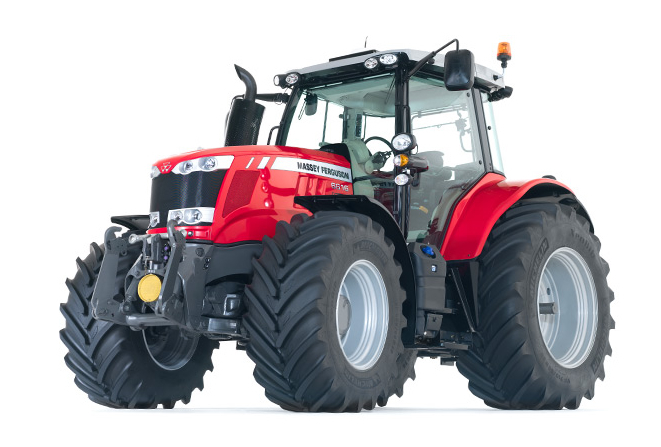 The MF5700 series with the same style, cab and features but with increased rear lift capacity includes two models the MF5710 – 105hp and MF5711 -115hp, while the range topping MF6700 series includes the top two models the MF6712 – 125hp and MF6713 – 135hp again with the same features and style but increased strength and lift capacity, now up to 5.2 tonnes, to suit the increase in horse power. 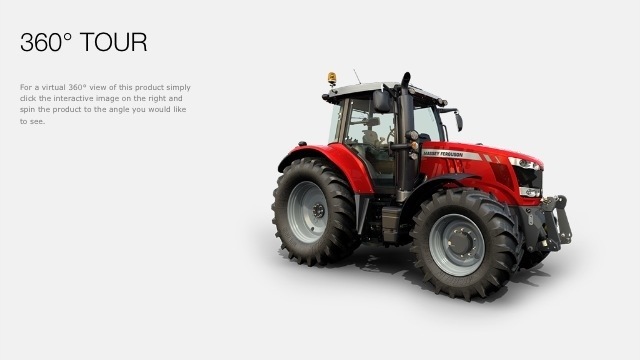 The MF4700, MF5700 and MF6700 are all part of Massey Ferguson Global series of sturdy, and straightforward all-purpose tractors. Manufacturered for the UK market at the main Massey Ferguson tractor factory in Beauvais, France. They are assembled to the same high standards as their larger brothers, using state of the art manufacturing, design and testing processes. Global tractor to suit your task. 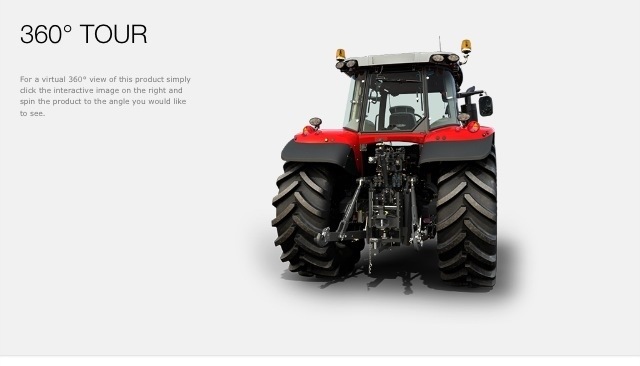 Designed with simplicity and ease of use in mind, the MF4700, 5700 and MF6700 tractors all feature a 12 x 12 Syncho transmission, with the option of either a simple mechanical clutch, or a left hand Powershuttle as we are familiar with on the larger models of Massey Ferguson. 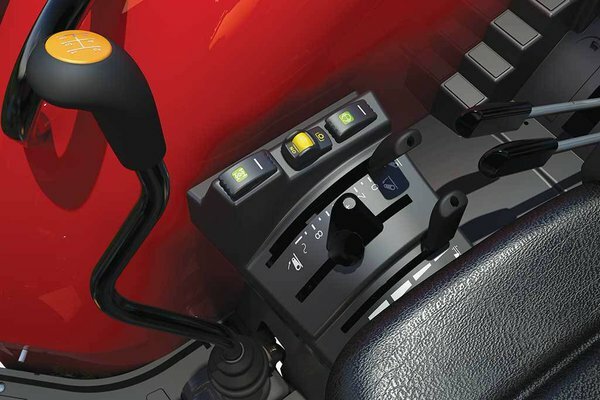 With advanced powerful open centre hydraulic systems, up to 98litres/min oil flow, simple to use electronic rear linkage control, and a range of options to suit every task the MF Global series are a truly modern range of utility tractors. 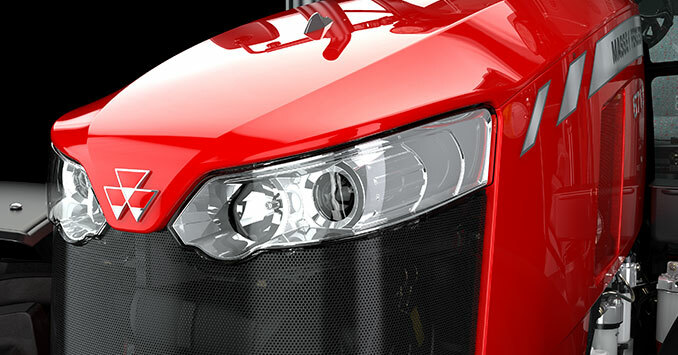 Designed to work optimally with the range of Massey Ferguson front end loaders. 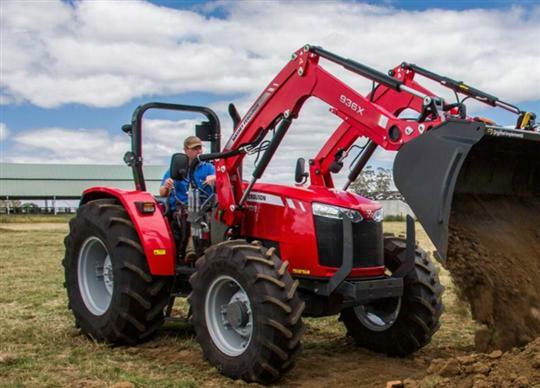 These are highly versatile tractors for every in field and farm yard task. 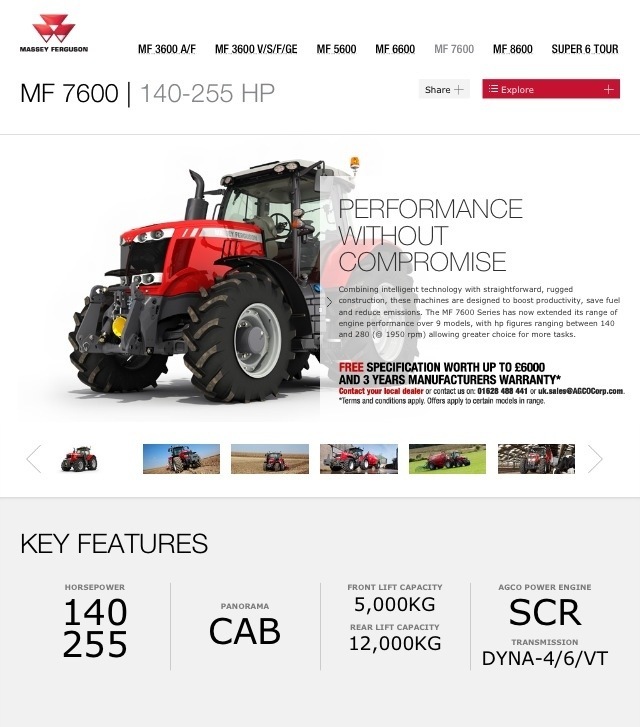 For more information visit our Massey Ferguson 4700 series technical information. 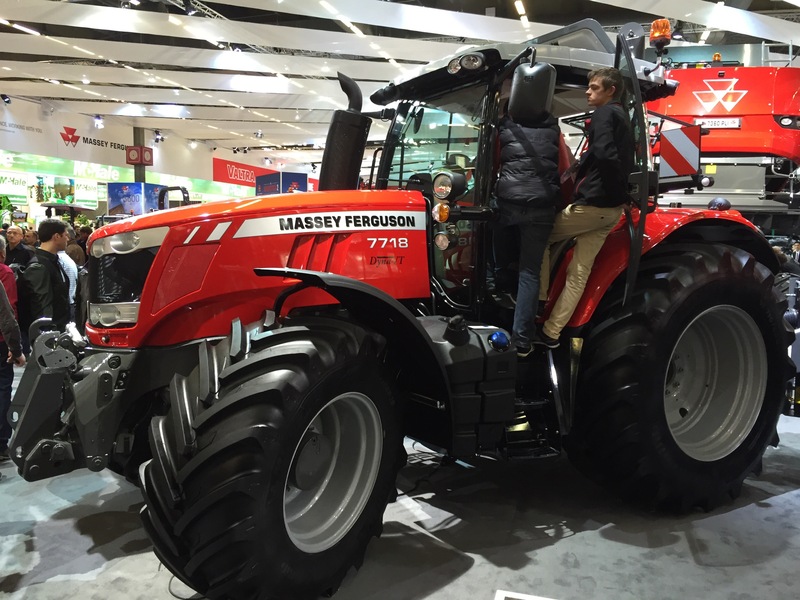 The full range of brand new Massey Ferguson 7700 series were launched at the SIMA Show in Paris. 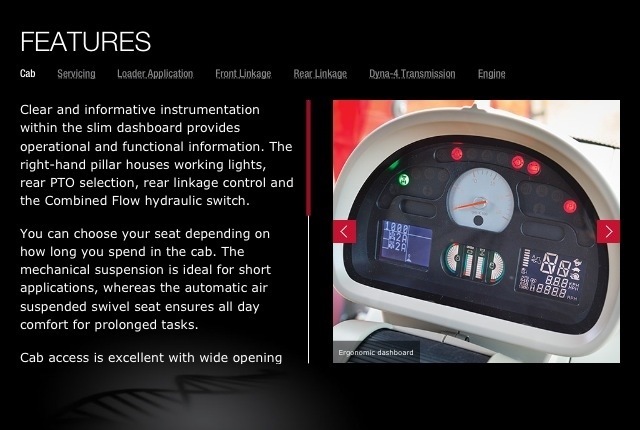 With models from 130 HP to 260 HP all featuring Tier 4 final emission complient AGCO Power SISU Diesel engines, achieving Tier 4 using SCR adBlue technology only without the need for DPF (diesel particulate filters) or EGR (exhaust gas recirculation), cost of ownership has been reduced through lower service costs. 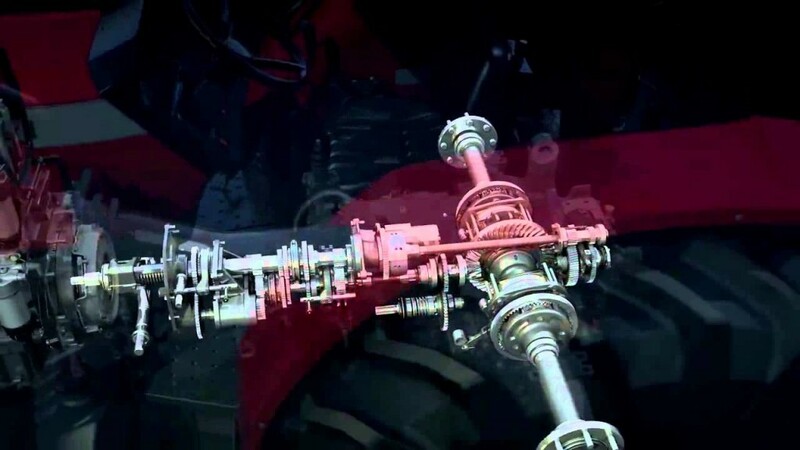 Available with Dyna-4, Dyna-6 & Dyna-VT transmissions – with Variable Power Management across the range of models and transmissions. Upgrades over the previous models include longer travel front suspension (140mm), brand new dash boards, new cab suspension, improved tyre options on MF7626 (to include 650/85R38), increased lift capacity on linkages. 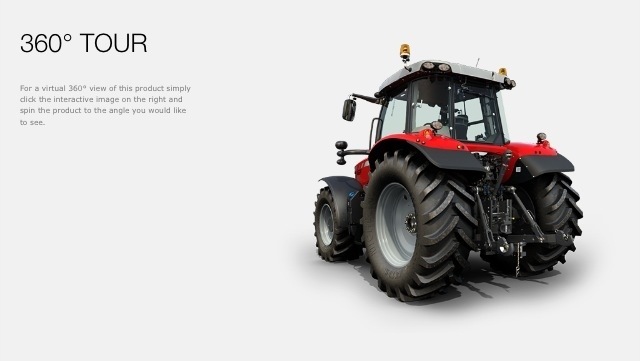 If you want to go into more detail on the technical information, there are clear and concise sections on the features on each range of Massey Ferguson tractor. If you want to see a full video product walk around, then each Massey tractor model has a profession tour from one of the Massey Ferguson team. 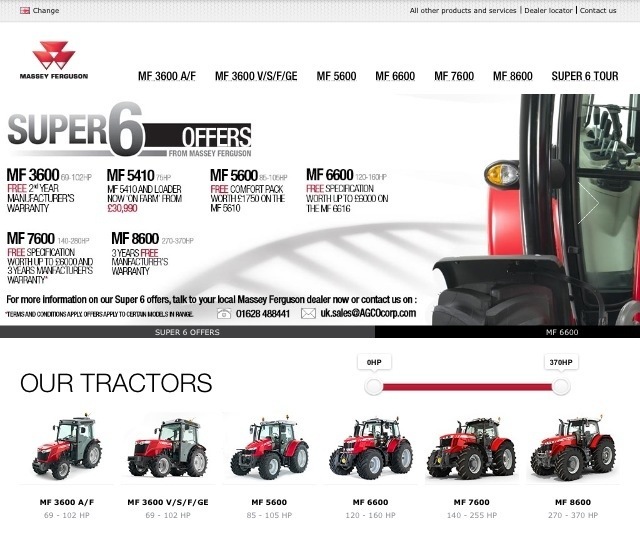 Thinking of purchasing a tractor ? How do you decide whether to buy a new tractor or a used tractor ? We would be interested to hear your thoughts on buying a used tractor versus a new tractor. Here are a few of our ideas on the balance of benefits of either route to owning a tractor fit to carry out your application. 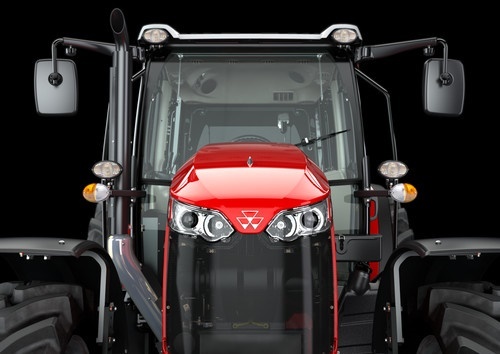 With excellent packages supplied with new tractors, including attractive 0% finance schemes, long manufacturer backed warranties, and the ease of choosing exactly the right specification for your particular application. 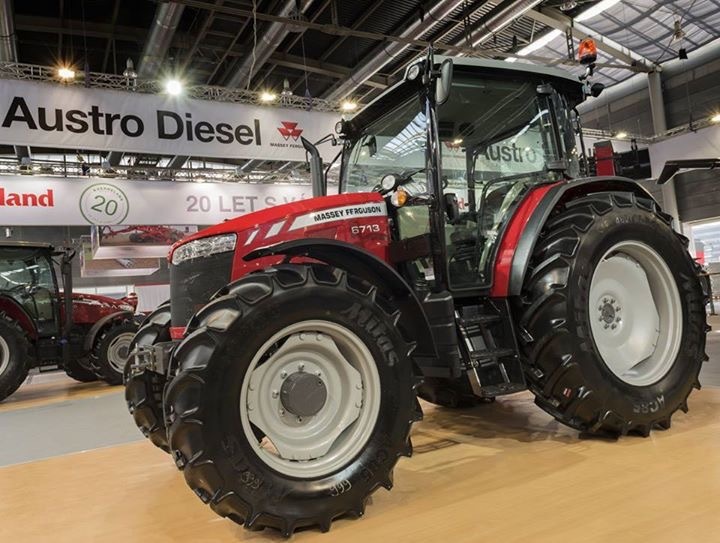 Demonstrations of all the new shiny models of tractors, with the latest in technical gadgets, buying a new tractor can seem a very attractive option. Especially if your tractor driver has been swatting up on the brochures on the latest models of tractor, and is dropping hints every day! 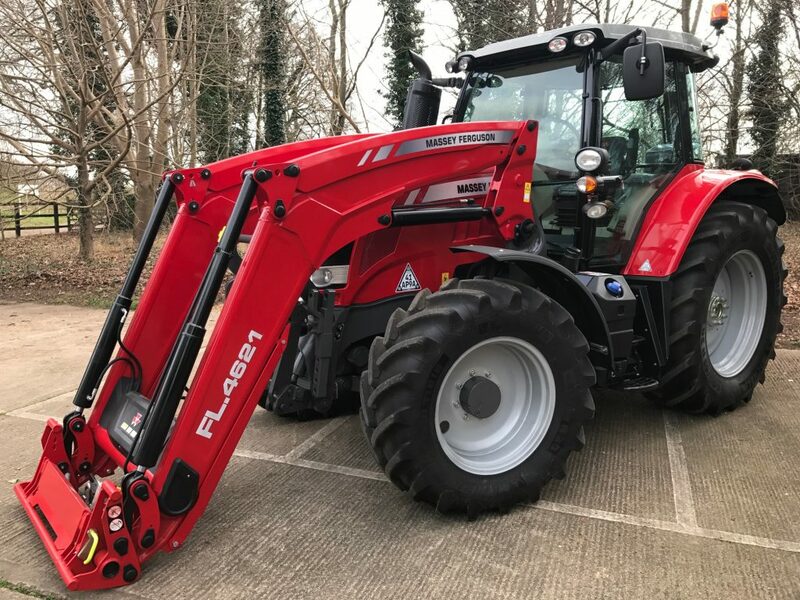 The convenience of buying a new tractor can be very appealing, however many of the benefits of the packages on new tractors can also benefit the purchase of a used tractor. First and foremost, the long warranties available on new tractors, are often still current on a used tractor part exchanged before the end of its warranty period. We would argue that there has never been a better time to buy a used tractor. With buyers of new tractors maintaining a full dealer service history, in order that extended warranties are valid, there has never been more choice of quality used tractors with main dealer manufacturers full service histories, and the benefit of the balance of a manufacturers warranty. 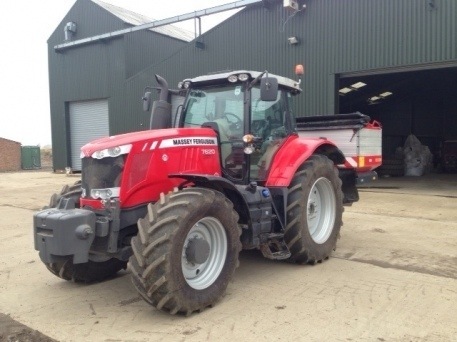 Even if the manufacturers warranty has expired, the benefit of a recently expired manufacturers warranty is that it ensures that all repairs to date will have been done with genuine AGCO Massey Ferguson parts, to an ‘as new’ standard by a main MF dealer, and it will have had a full service history, using the correct oils and on schedule. 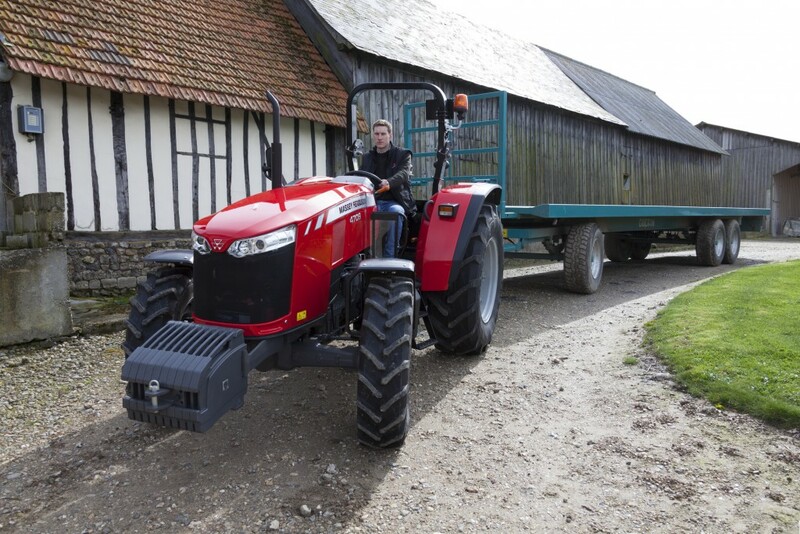 This means that Chandlers Used Massey Tractors are always confident to provide a dealer backed warranty, safe in the knowledge that the tractors are in excellent condition and fit for a long life ahead, and are highly unlikely to cause any issues for their latest owner. As with all purchases of capital equipment, managing cash flow can be an important part of the buying decision. 0% finance schemes on new tractors can make all the difference, by spreading the purchase price over several years with no additional charge. However with the current record low Bank of England base rate, the cost of finance on a used tractor can be much less than you might imagine. 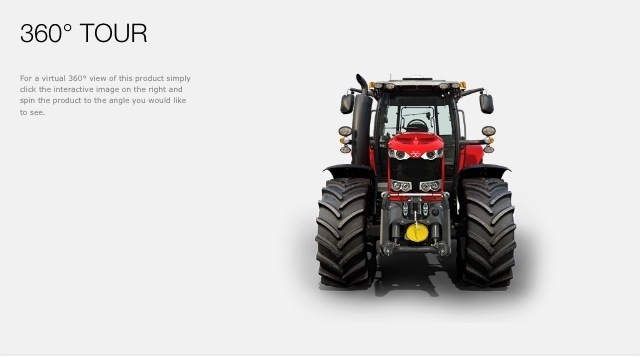 If you are interested in finding out the typical cost of HP (Hire Purchase) finance on a used tractor, then you can use Chandlers Used Massey Tractors instant online finance calculator to work out a repayment profile to suit your cash flow. It goes without saying that because the price of a used tractor will be much less than a new one, the repayments are likely to be considerably lower anyway! Another major recent plus point for the purchase of a used tractor is in the excellent durability and finish all all modern tractors. Gone are the days when rust and corrosion took its toll, and cab interior trim deteriorated fast. Modern used tractors rarely need more than a good vallet to look as good as new. Most tractor owners take great pride in the daily maintenance and cleanliness of their tractors, ensuring they get the best performance from them, which means many used tractors are literally as good as new! 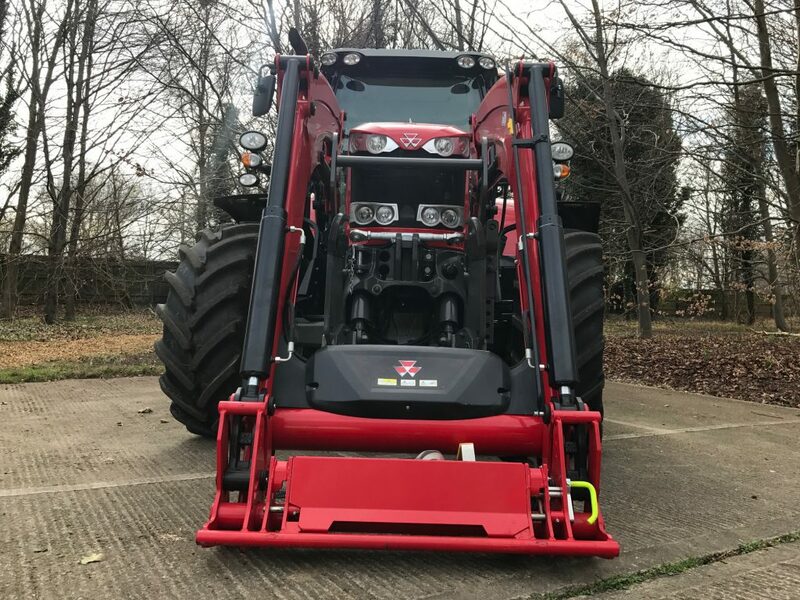 Which ever route you go down, buying a new or used tractor, we hope that you will make it a purchase of a Massey Ferguson tractor! 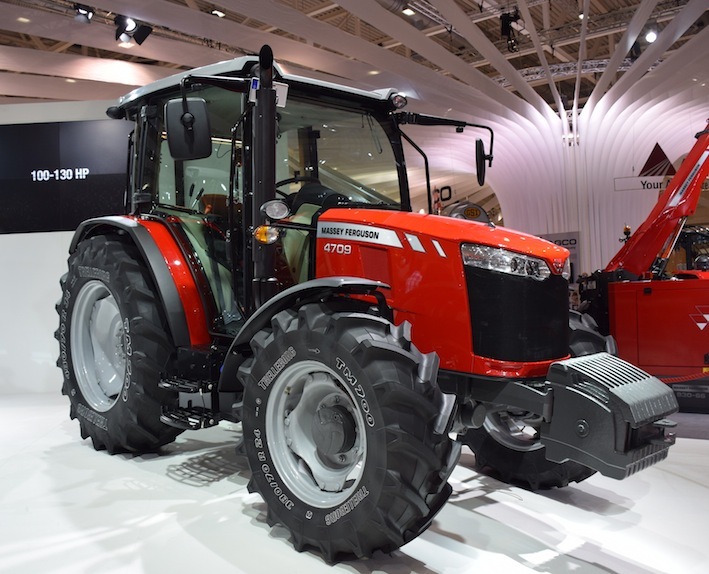 The eagerly awaited new range of 4 cylinder tractors have been launched by Massey Ferguson at the SIMA Show. 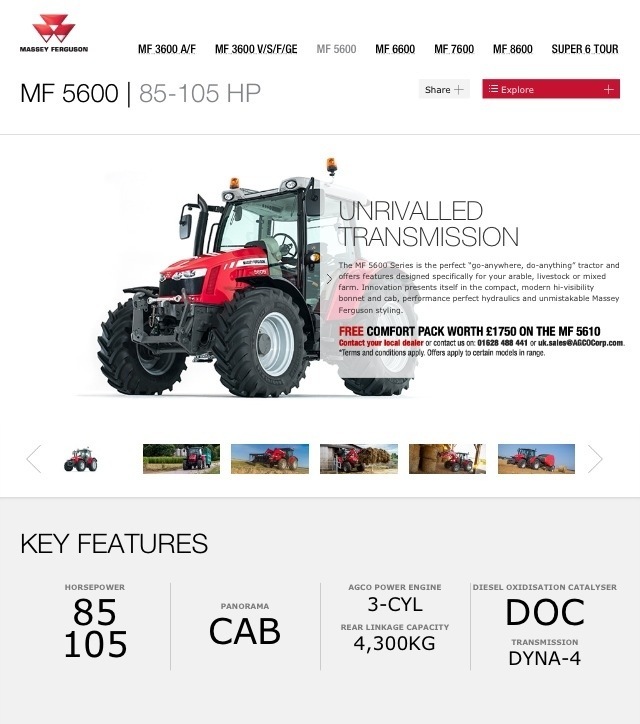 The range comprising 5 models, the MF6612, MF6613, MF6614, MF6615 and MF6616 all feature the state of the art AGCO power 4.9 litre SCR technology fuel-efficient 4 cylinder engine. This gives a short wheelbase, for excellent manoeuverability, and the light compact 4 cylinder engine design produces a high power to weight ratio for excellent all round capability. 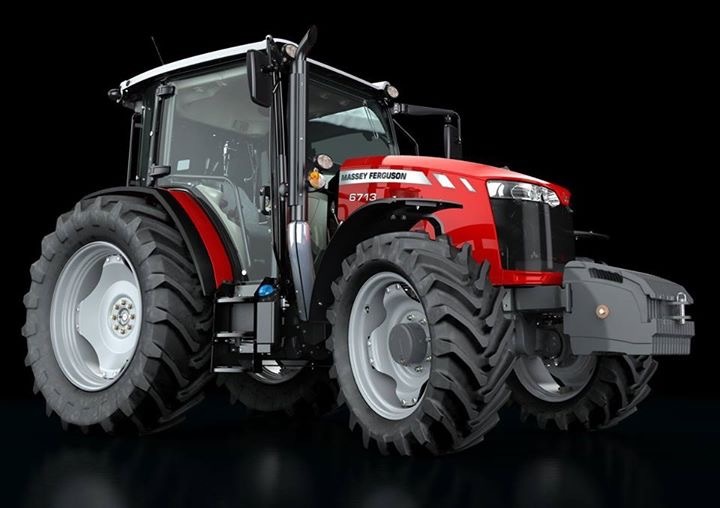 With 5 new models in the Massey Ferguson 6600 range, the MF6612, MF6613, MF6614, MF6615 and MF6616 all featuring the 4.9 litre AGCO power 4 cylinder SCR fuel-efficient diesel technology. 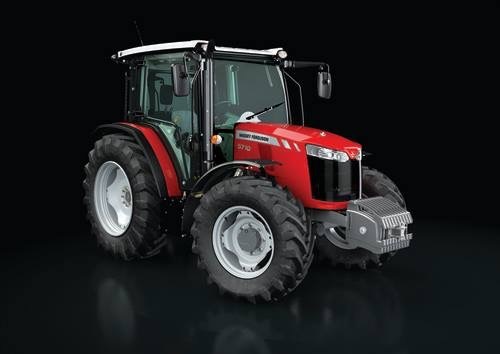 The MF6600 tractors range from 120hp to 160hp standard power and up to 185hp with intelligent power management boost in the range topping MF6616 tractor. 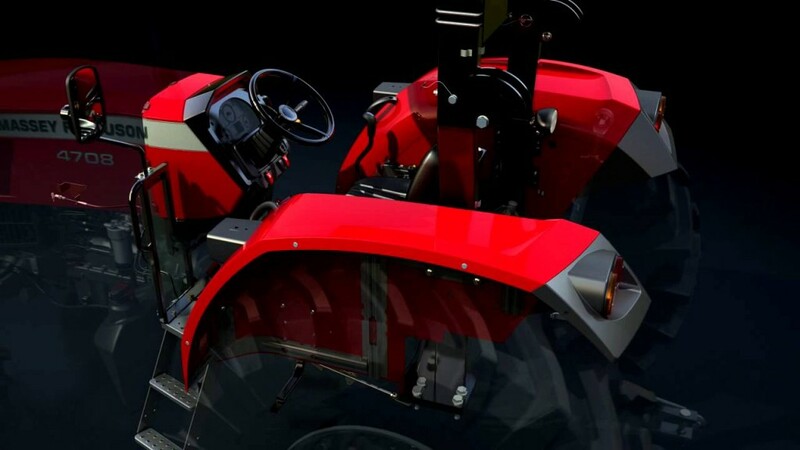 With a compact wheel base and high power to weight ratio the MF6600 tractors are light, compact and maneuverable and will be ideal for a wide range of tasks on farm. 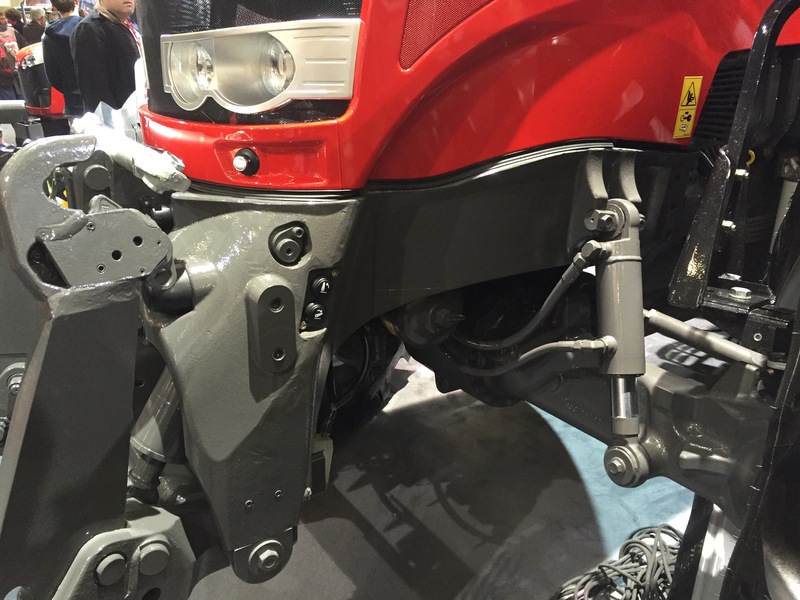 Will there be a New Massey Ferguson 6600 series launched at SIMA Show ? 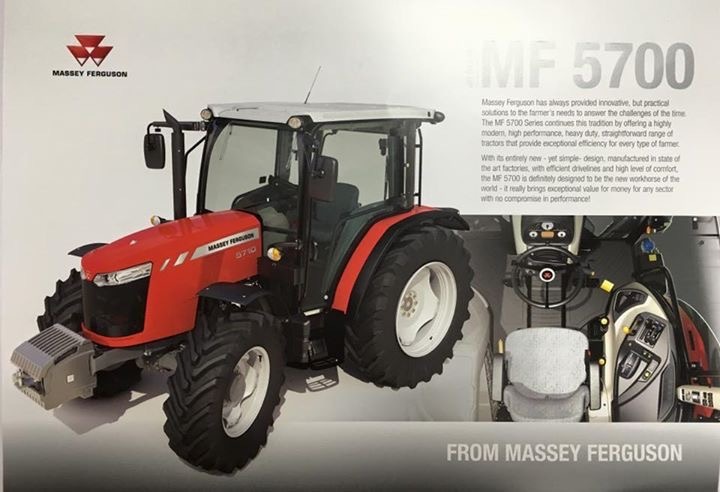 Massey Ferguson have yet to launch a new Massey Ferguson range of 4 cylinder tractors, replacing the MF5470/MF5480 and MF6460/MF6470 which are now on short supply from the factory, will the MF6600 series be available at the upcoming SIMA Show in Paris ? 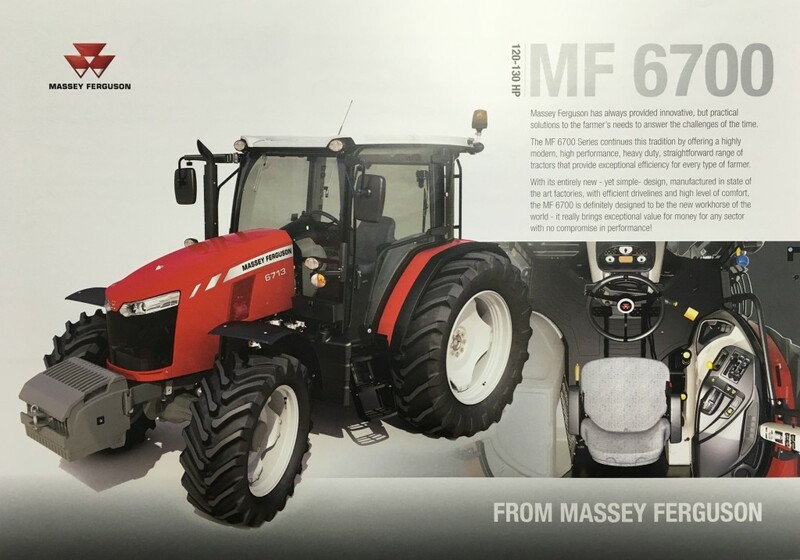 With the recent flurry of new product launches by Massey Ferguson, the Massey Ferguson 7600 range of 6 cylinder tractors in the spring of 2012 (from the 140hp MF7614 to the mighty 260hp MF7626), the brand new Massey Ferguson 5600 series (from the MF5608 at 85hp to the MF5610 at 105hp) at the EIMA show in Italy in the autumn last year (and the official UK launch of the MF5600 series at the recent LAMMA show). 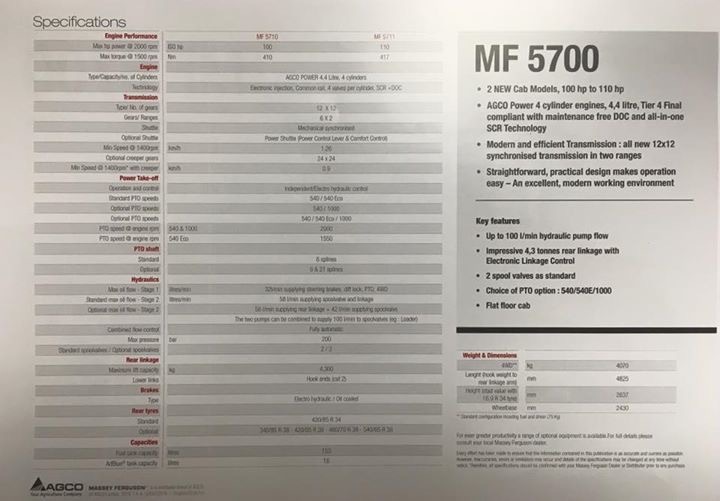 The hot topic of conversation in the office is what will the replacements for the outgoing 4 cylinder models (MF5470 & MF5480 and the MF6460 & MF6470) be like and be called. 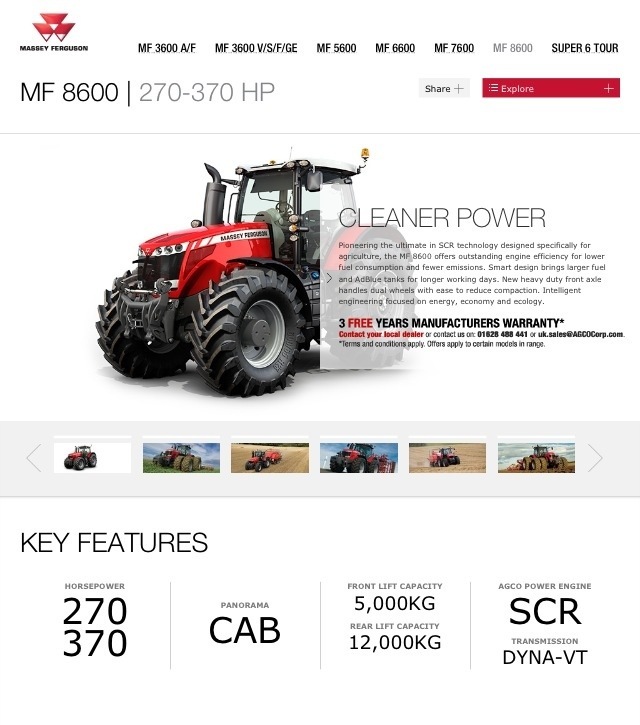 A fair bet would be a dedicated range grouping the 4 cylinder Massey Ferguson series, called the MF6600 series, keeping the smart new and instantly understandable names we are getting used to with the hp related MF7600 and MF5600 tractors, e.g. 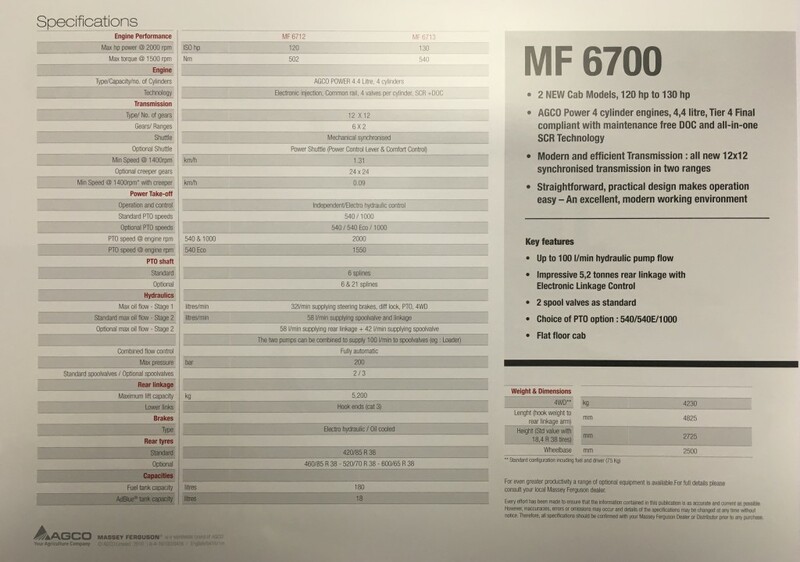 MF5608 (85hp) or MF7616 (160hp). 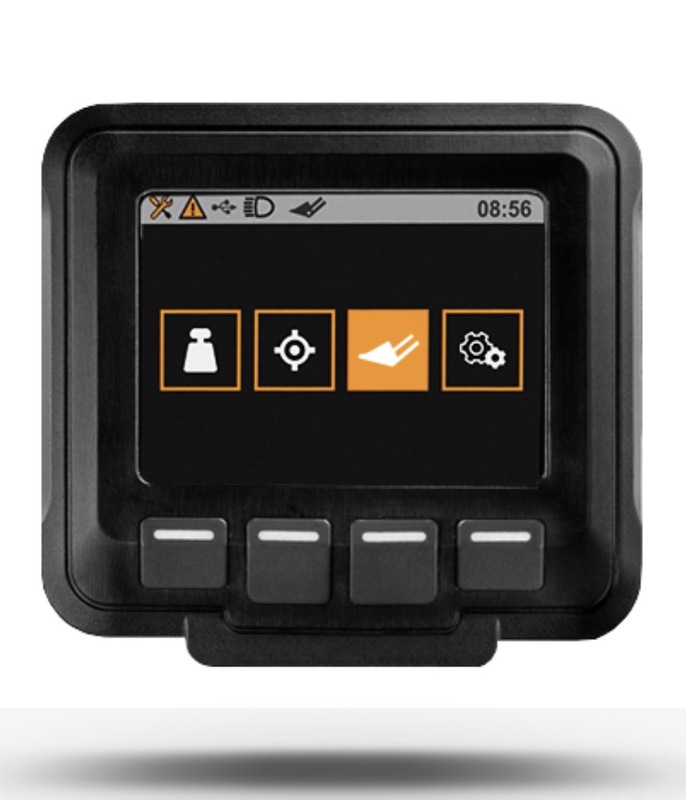 If you want to be first to see one, our guess is to book your place at the SIMA Show in Paris from the 24th to 28th Feb 2013. Despite the wintry conditions, with a heavy frost blanketing the MF tractors, combines and balers on display, there was a large turnout for the LAMMA Show 2013, and plenty of interest created on the Massey stand by the winner of the engineering innovation award, the MF5610. 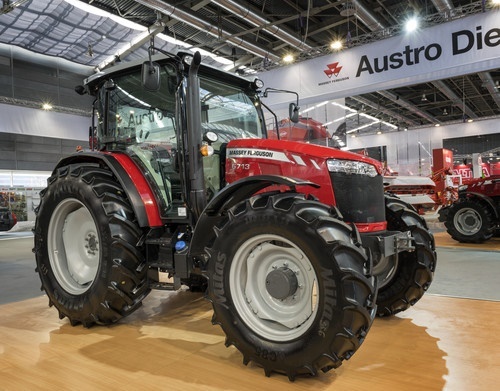 The Massey Ferguson 5610 launched in it’s worldwide premiere at the EIMA Show in Italy, made its UK debut at the LAMMA Show, where it picked up yet more awards. AGCO Massey Ferguson were further praised by the shows organisers with the award for the best show stand. The latest story in our series profiling just some of the dedicated and inspiring women across the AGCO Aftersales teams comes from Emma Honey, Aftersales Manager at UK dealership Alan Snow Agricultural Engineers Ltd. The post International Women’s Day 2019 – Emma Honey appeared first on AGCO Blog. Our next story comes from Anca, who joined AGCO’s Business Credit team six years ago and in 2015, progressed to her current role as Aftersales Business Manager for Central Europe. The post International Women’s Day 2019 – Anca Urdareanu appeared first on AGCO Blog. This week we are celebrating International Women’s Day, an acknowledgment of the achievements of women around the world and a call to action to drive gender equality. The post International Women’s Day 2019 – Elisabeth Charron appeared first on AGCO Blog. As the AGCO Agribusiness Qualification (AAQ) program comes to the end of a fast paced and exciting first year, the students are participating in work placements across different AGCO offices in Africa and the U.S. The post The AGCO Agribusiness Qualification’s Work Placement Program appeared first on AGCO Blog.